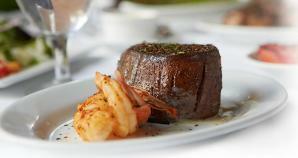 Visitors to Ruth's Chris soon understand that it is no ordinary restaurant. From the U.S. Prime steaks, broiled to perfection at 1800 degrees, to the expertly executed seafood, New Orleans-inspired appetizers, unforgettable desserts, and award-winning wine list, this is a steakhouse to which others aspire. We also offer private dining accommodations, whatever the occasion, for personal assistance in planning your private group event contact our Sales & Marketing Manager.